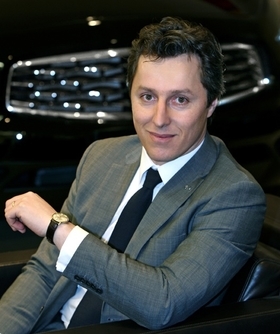 Guillaume Pelletreau joined Nissan in 2005 and became chief marketing manager for passenger cars in 2010. Nissan has brought in Guillaume Pelletreau to run European sales for its Infiniti luxury division. Pelletreau will head Infiniti's sales activities at a critical time in the brand's European development. As well as working on expanding the network of 41 dealers across Europe, he will need to oversee sales development for a widening range of cars. Infiniti has added the new M sedan to its European lineup alongside the existing G-range of sedan, coupe and convertible models, the crossover EX and flagship FX SUV models, and the M35 and M37. This spring, an M35h hybrid will join the range. "It is the most exciting time possible to be spearheading Infiniti sales in Europe," Pelletreau said in a statement. "Times are still tough and there is a great deal more to be achieved, but now the Infiniti range in Europe is stronger than ever." Pelletreau succeeds Philippe Saillard, who has been transferred to Nissan's sales organization for central and eastern Europe in Budapest. The 40-year-old Pelletreau, a graduate of France's EMLYON Business School, worked for eight years as a consultant at Roland Berger in Paris before joining Nissan in 2005 as sales and marketing strategy manager. The following year, he was appointed marketing director of Nissan West Europe and held the post until 2010, when he became chief marketing manager for passenger cars at Nissan Europe. Infiniti has been struggling to gain a foothold in Europe. It sold 2,519 vehicles in Europe last year, up 91 percent from 1,319 in 2009, according to UK-based market researcher JATO Dynamics. Meanwhile, Infiniti sold 4,674 cars and SUVs in Russia last year, up 1 percent from 4,630, according to the Association of European Businesses in Russia. Infiniti's five-year goal for western European sales (not including Russia) is 25,000 units.